I was recently contacted by Hannah from Blossoming Gifts asking if I was interested in doing a collaboration with them in their Autumn flowers range, and loving fresh flowers of course I agreed to do the collaboration with them, as now the hayfever season has chilled itself out I can start to enjoy fresh flowers. Blossoming Gifts are a new and exciting flower delivery company that are based in the UK and they specialise in beautiful florist designs at a low cost. They offer a wide range of both flowers and gifts on there website and all at affordable prices aswell. 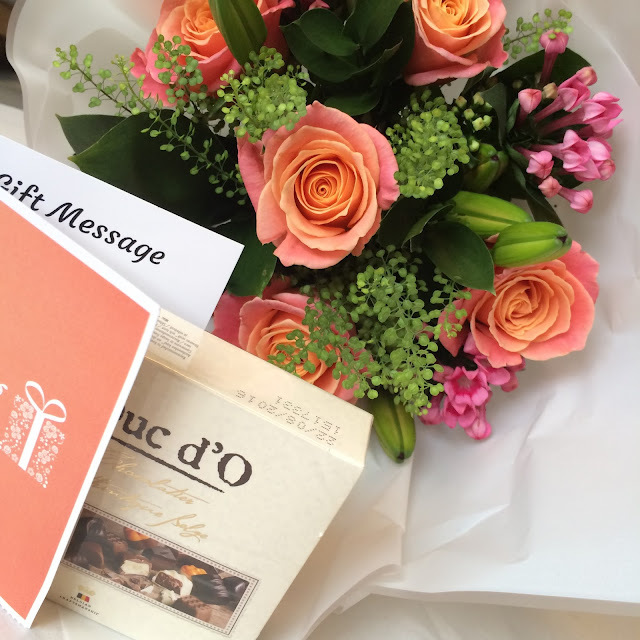 With there flower delivery range there is free delivery on all bouquets, and on selected flower bouquets there is also a free box of chocolates and who doesn't love a box of chocolates. After a couple of email's between us, I was allowed to choose any bouquet of flowers on there website from there Autumn Range to be sent to me to review on my blog. After having a look through the selection of bouquets I decided to go for the Sweet Autumn bouquet, as I thought the colours in it were gorgeous. 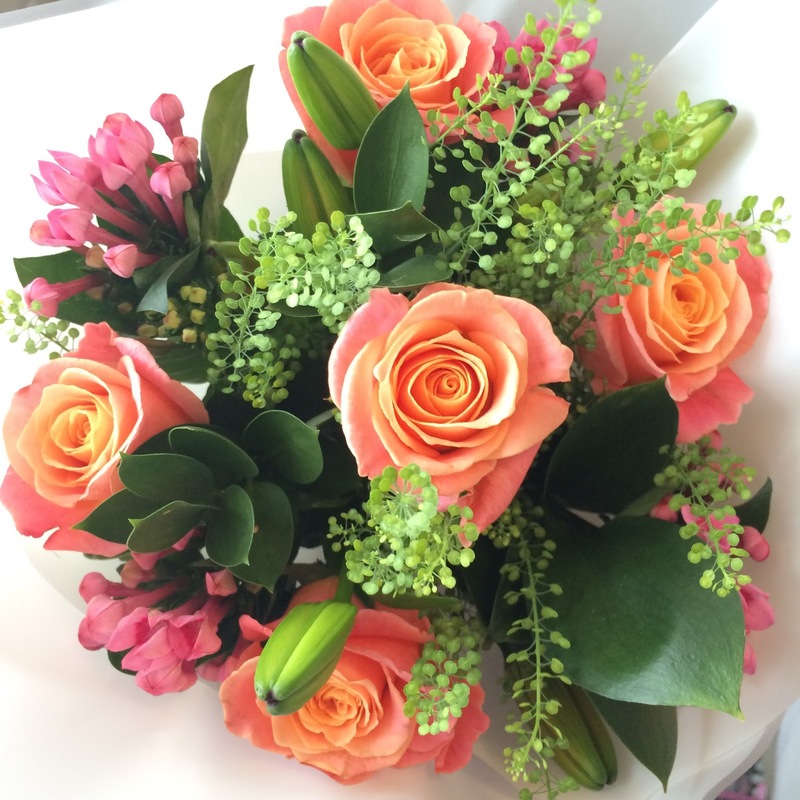 Included in this particular bouquet are peach avalanche roses, soft peach lilies and pink bouvardia, all the colours really compliment each other well and really makes them stand out. This bouquet of flowers also came with a free box of chocolates which unfortunately I can't eat due to chocolate being one of the main things that start my headaches off, so I happily passed these onto my mum which I'm sure she will enjoy and it also saves them from being wasted. The lilies are yet to open up but I know that when they do the flowers are gonna look more beautiful then they already do! 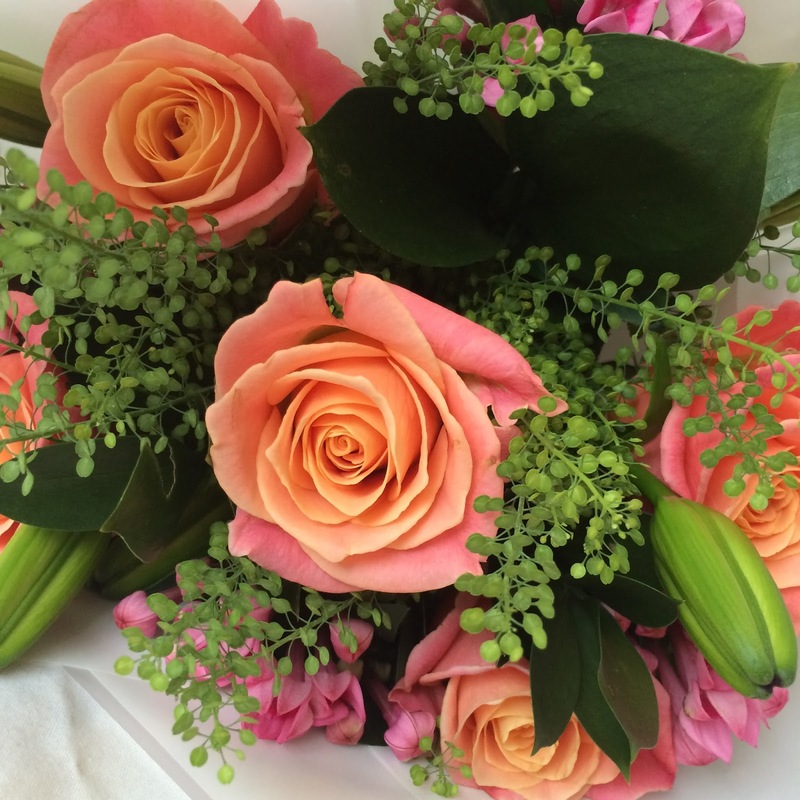 Blossoming Gifts also has a selection of cheap flowers for those that don't want to spend too much on a small bouquet, these bouquets all cost under £20.00 but still look just as gorgeous as all there other bouquets. Also with the Christmas season soon approaching blossoming gifts also do a section of Christmas hampers, I myself have had a little look through these and think there are well worth the money for what you get in them. Now for the fun part for you readers of Nail Beauty Life, Blossoming Gifts have been kind enough to let me offer you all a 33% discount off of a bouquet of flowers of your choice. The only bouquets that are exempt from this offer are the Flowers By Post range, the Flowers By Post range is only a small selection so I'm sure with all the other bouquets that are available, I'm pretty sure you will find one that you love! So whether you want to order some fresh flowers for your home, or order some to send to someone to let them know your thinking of them or even congratulate them on something they've done. 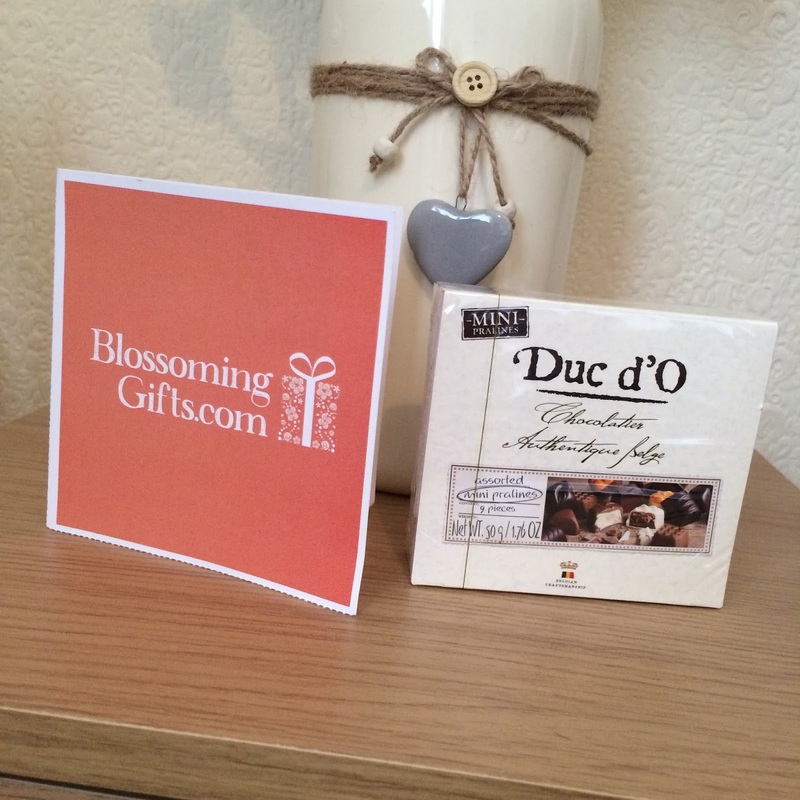 Then head over to Blossoming Gifts and use the discount code below to get 33% off your choice of bouquet.